With an increasing number of clients interested in cloud based services for all or part of their IT infrastructures, The LCO Group has revamped its Cloud Services offerings to meet the increasing demand for performance, reliability, and security. We offer a wide-range of cloud services, from Private Cloud networks for highly sensitive data, to cloud based email and phone services. Our solutions are best-in-class, and are backed with the same 100% client satisfaction guarantee as all of our services. Not all client applications should be automatically considered ‘cloud ready’ and careful consideration and testing needs to be performed before a cloud transition takes place. We are experts at evaluating which services will benefit from cloud basing, and will help you achieve lowest cost of ownership without sacrificing security or performance. 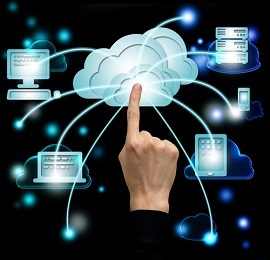 Call us today to find out if the cloud is right for you!